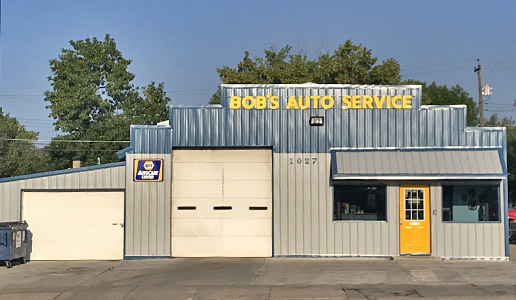 Bob’s Auto Services has a long history and tradition of friendly people and high quality service in Rapid City. 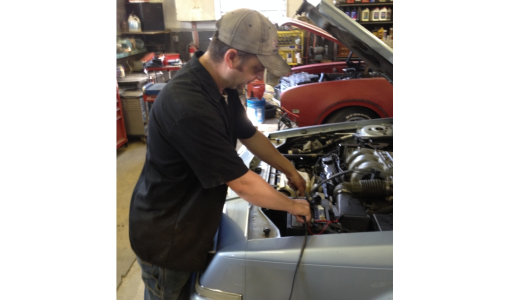 Our mission is to repair and maintain vehicles so they are safe and reliable. Our core value is giving the highest quality service at the fairest price. Our technicians are ASE-certified to repair domestic and foreign cars, SUVs, trucks, ranch and fleet vehicles. 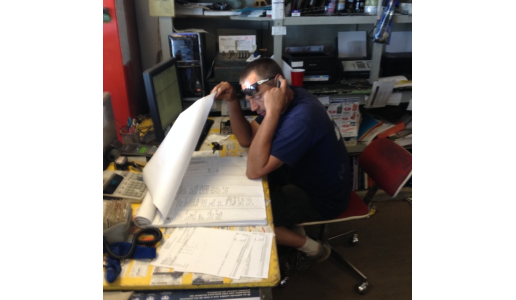 We guarantee our parts and our work. 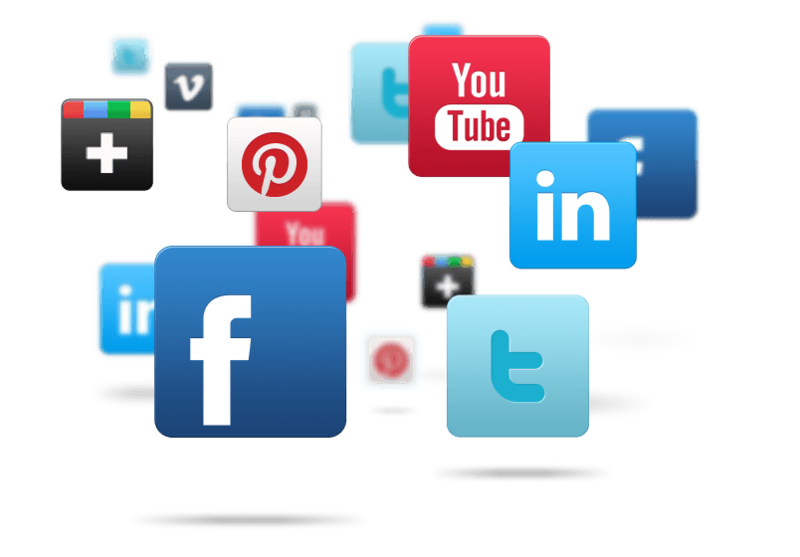 Schedule your next appointment online or call us at (605) 342-1982. 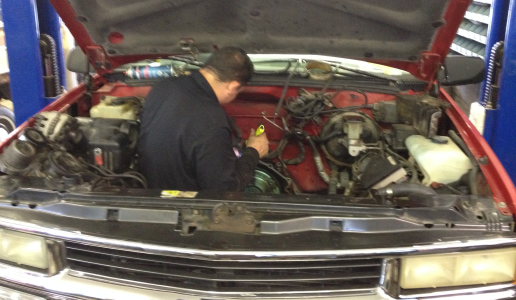 Gerard getting INTO his work, replacing a front transmission seal during an engine swap. Austin checking the air filter during an oil change. Bruce on the phone, checking the schedule pad. CJ hooking up a battery. Towing services available through Lee’s Towing.